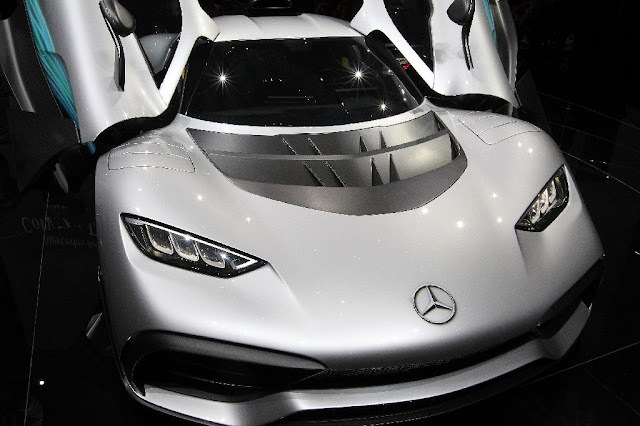 Frankfurt am Main - At this year's Frankfurt International Motor Show (IAA), automakers are pulling out all the stops to dazzle visitors with cars that are greener, smarter and faster than ever. Here are some of the highlights of the industry showcase, which runs until September 24 and is expected to draw hundreds of thousands of car enthusiasts. "It looks like a shark," was one fairgoer's verdict as a crush of people strained to catch a glimpse of the showstopper. Ten-year-old Moritz was more generous. "You can tell that Mercedes put in a lot of effort," he told AFP, "but I would have preferred bigger spoilers." Not to be outdone, Bugatti revealed that its own limited edition supercar -- the 2.4-million-euro Chiron -- had just set a heart-stopping new speed record, going from 0 to 400 kmh in 42 seconds. They're not quite the flying cars we have long been promised but if a string of start-ups are to be believed, our daily commute could soon come with a bird's eye view. Fairgoers were abuzz over a pilotless "air taxi" on display at Daimler's stand, an electric, 18-rotor craft being developed with Volocopter. Dutch start-up PAL-V meanwhile showed off a cross between a gyrocopter and a car, which could whizz you to work from next year -- all you need is 500,000 euros and a pilot licence. 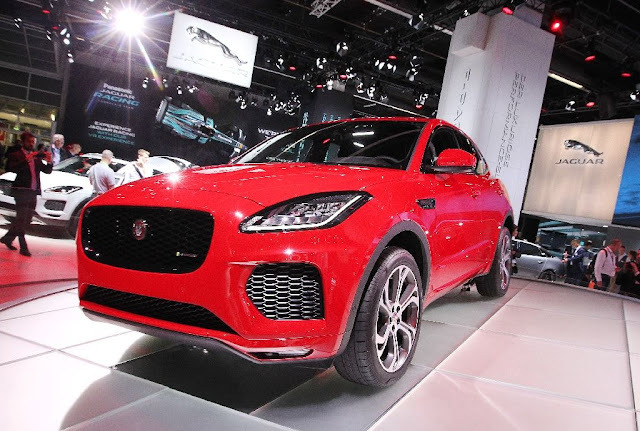 SUVs reign supreme at this year's IAA. Accounting for more than two thirds of the model launches, they cater to all tastes and wallets, from Volkswagen's sporty T-Roc to the updated budget Dacia Duster. Chinese automakers are increasingly muscling in on the action, with Chery and high-end Wey both unveiling compact 4x4s. They may be the wheels of choice for soccer moms everywhere but SUVs are "overrepresented" at the IAA, according to the Inovev consultancy. Eager to turn the corner on the 'dieselgate' emissions cheating scandal, carmakers are falling over themselves to present a futuristic vision of sleek, self-driving electric cars that do all the work as you lean back and enjoy the ride. But observers expressed frustration that most of the cars being dangled were years away from hitting the roads, while Nissan and Tesla -- the only two carmakers actually mass producing electric cars -- shunned the IAA. Those who prefer the roar of a souped-up classic motor to the gentle purr of an electric engine should head over to the IAA's "Wild 70s" display to check out the red-and-white Gran Torino made famous by the "Starsky and Hutch" TV series, or a cult 911 Porsche Turbo Targa with rainbow trimming. 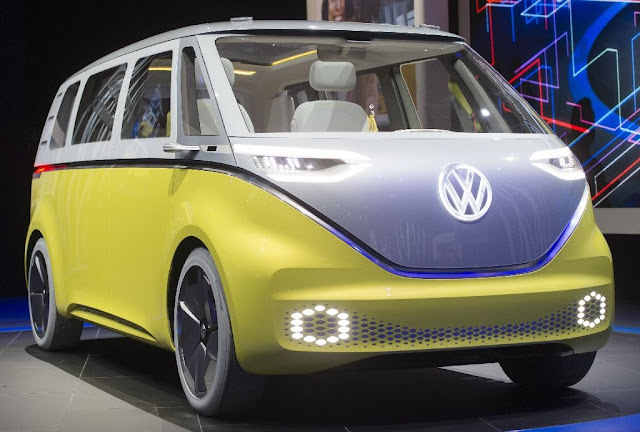 If you're nostalgic for the era's more mellow vibe you may want to check out Volkswagen's new ID Buzz, a re-imagined -- and of course, electric -- version of the world's best-loved hippiemobile. With surfboards strapped to its roof and, somewhat bafflingly, a floating, meditating gnome for a dashboard ornament, the neon yellow-and-grey van could be coming to a beach near you in 2020.